I am a 27 year old male suffering from Levofloxacin poisoning. I took a 500 mg pill on August 29th, 2012 and again on August 30th before having a nauseous reaction within fifteen minutes. I discontinued use immediately afterwards. The same day I experienced rotator cuff pain in my right shoulder. The next day my knees were stiff. This went away by the next day and all seemed back to normal. Three weeks later, however, I developed what I believe to be bursitus in my right shoulder. This went away within a week, but within that week I also developed discomfort in my left knee, right elbow, sensitivity on the bottoms of my feet and, within the past couple of days, discomfort in the tips of my hips (which I again think is toxic bursitus). I am taking 1,000 mg fish oil capsules three times a day and 1,000 mg of B-12 once a day. I am going to start taking 400 mg of chelated magnesium and a large amount Vitamin D tomorrow. As far as my symptoms go, it is difficult to gauge whether I am improving or getting worse. The discomfort and mild pain seem to increase as the day wears on, but I wake up feeling relatively normal with little to no discomfort in the first few hours. Does this indicate that I am healing? Are there any at-home tests to gauge if I am getting better or worse? I am also curious as to roughly how long it will take for the fluoroquinolones to exit my system. I am an active drummer, 5`7, 200 lbs with a lower metabolism. Healthy blood pressure, no health problems aside from sinusitus. As mentioned before, I have taken two 500 mg pills. I would imagine the toxic drug would exit my system much faster than, say, someone who completed a full course. Is this a safe assumption? When will my body rid itself of two doses of 500 mg Levofloxacin pills? Also, are you aware of anyone in their twenties with permanent damage from such a low dosage? What typically happens to someone in their twenties who reacts negatively to this antibiotic after ingesting 1000 mg total and has an adverse reaction? Do they heal within months? So sorry to hear about your health issues dealing with the Side Effects of Levaquin. I hope that time and whatever you've tried has helped you to overcome your health problems by the time that you read this. If not, well, unfortunately I can't give an answer to your question to what is 'typical'. 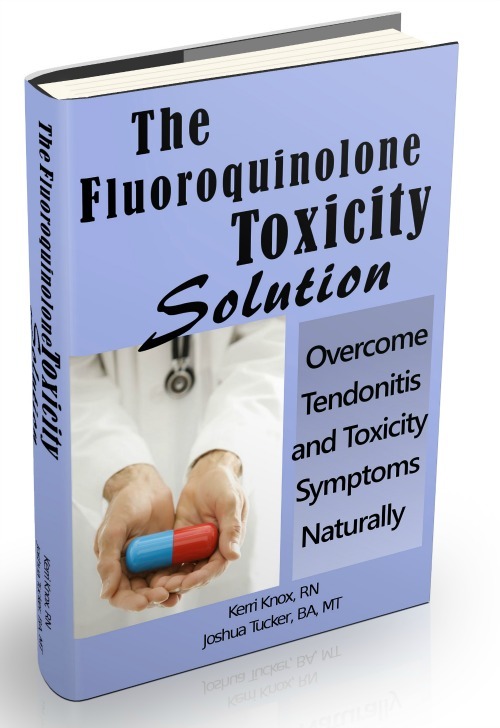 I find no 'typical' answers to people who get poisoned from Quinolone Antibiotics. The reactions vary COMPLETELY from person to person, and an 80 year old might recover completely, while a young person may have lingering effects for years and vice versa. It's entirely unpredictable as far as that goes. What I DO know is that if you haven't recovered spontaneously a few months after the initial symptoms, that you'll need some help, and that following the protocol that I outline in my book The Levaquin Tendonitis Solution is really your best bet for getting back on the road to recovery and getting your life back to normal again. I hope that this email finds you having recovered completely. If not, I hope that you'll begin my protocol and keep us updated on your progress.